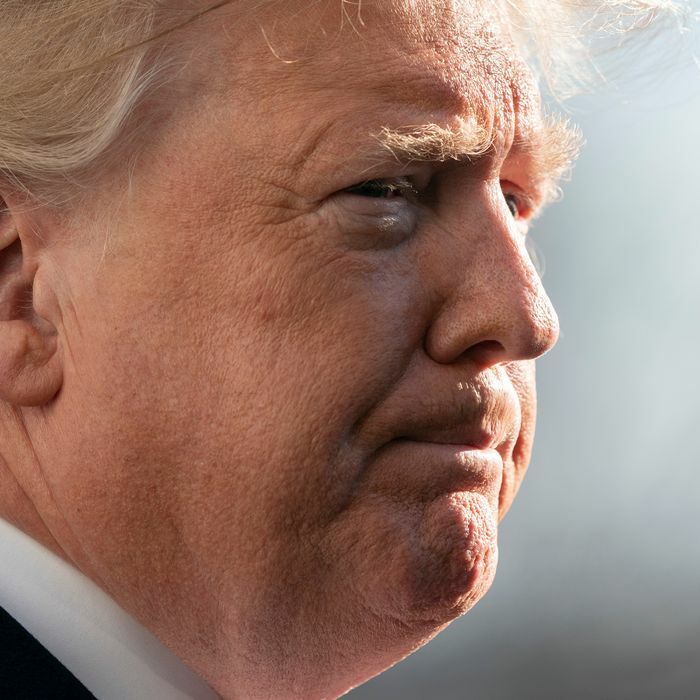 As Donald Trump prepares to give his first prime-time televised address from the Oval Office on Tuesday night, his lawyers are said to be scrambling to justify his desire to declare a national emergency to fund a southern border wall without congressional approval. According to the Washington Post, the president increasingly considers a national emergency to be the preferred method of securing funding for the wall, as his self-inflicted shutdown enters its 18th day. During a senior staff retreat at Camp David on Sunday — the day on which this shutdown tied 2013’s for the second-longest in American history — Trump reportedly said he might invoke the National Emergencies Act and bypass the congressional purse if he could not secure $5.7 billion in wall funding soon. Democrats claim that the potential emergency order is an obvious violation of constitutional norms. “We will oppose any effort by the president to make himself a king and a tyrant,” said Jerrold Nadler, the House Judiciary Committee chairman. “The president has no authority to usurp Congress’ power of the purse.” House Democrats have also warned that if Trump attempts a state of emergency over a self-manufactured crisis, they would consider investigations into abuse of power.